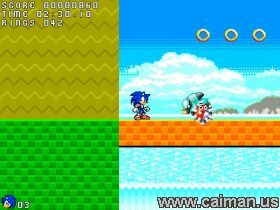 Caiman free games: Sonic Action by Sik. 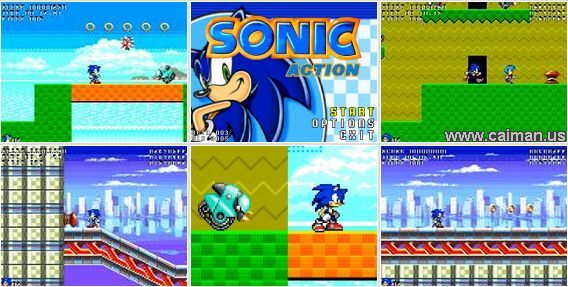 A good multiplatform Sonic fangame based on the SRB2 story. "Eggman decided make a change in his strategy: before try to conquer the world, he'll try to kill Sonic, and avoid him defeating his plans again. So he decided to create the Ultimate Weapon... Eggman has kidnaped to Amy, and converted her in a mortal killing-machine, which only objective in her life is kill to Sonic. She's the Dark Amy. 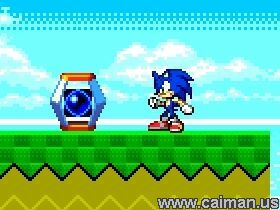 Dark Amy will try to steal the seven Chaos Emeralds for become Super Dark Amy, the Ultimate Weapon, and then kill to Sonic... Sonic must choice between his life and then the destruction of the world, or Amy's life, his love... What will he do?"